Meet Andrew "Ender" Wiggin, the unforgettable boy-hero of Ender's Game--winner of the Hugo Award and the Nebula Award for Best Novel--and enter his Universe through this collection of stories. "The Polish Boy" is John Paul Wiggin, the future father of Ender. In the years between the first two Bugger Wars, the Hegemony is desperate to recruit brilliant military commanders to repel the alien invasion. They may have found their man--or boy--in John Paul Wiggin....In "Teacher's Pest"-a novella written especially for this collection--a brilliant but arrogant John Paul Wiggin, now a university student, matches wits with an equally brilliant graduate student. "The Investment Counselor" is set after the end of the Bugger Wars. Banished from Earth and slandered as a mass murderer, twenty-year-old Andrew Wiggin wanders incognito from planet to planet as a fugitive--until a blackmailing tax inspector compromises his identity and threatens to expose Ender the Xenocide. 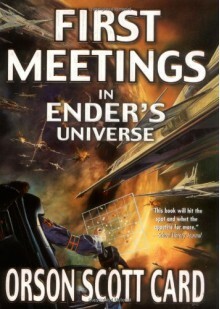 Also reprinted here is the original award-winning novella, "Ender's Game," which first appeared in 1977. Humorous stories of Ender's parents and his tax attorney.